NEW: 2/11/2015 Per Illinois State Police Effective Immediately, the required criminal history record check will include both an Illinois State Police (ISP) and an FBI check. You will be given a receipt upon completion of the fingerprint process. Please save the Transaction Control Number (TCN) listed on your receipt, as it will be needed to apply for your Medical Cannabis card. Your fingerprint based background check response will automatically be sent from the Illinois State Police to the appropriate State Agency. Need your Application Notarized or Photo to submit with your Patient application? We can provide. During Visit. You can now use our convenient process to fulfill the fingerprint requirements for your application. Need mobile onsite fingerprinting for 10 or More? Call us at 312-780-0470 to schedule onsite printing today! You will be given a receipt upon completion of the fingerprint process. Please save the Transaction Control Number (TCN) listed on your receipt, as it will be needed to apply for your Medical Cannabis card. Your fingerprint based background check response will automatically be sent from the Illinois State Police to the appropriate State Agency. Need Your Dispensary or Cultivation Application Notarized or Photo to submit with your Patient application? We can provide. During Visit. Consultants, Clinics, Medical Facilities, Cultivation Centers & Dispensers: We are seeking partnership with organizations who are committed and passionate about helping those with medical issues acquire medical marijuana provide a seamless application experience.. This is a new and quickly expanding field. Partnering with KENTECH’s award winning team can help build your business success. Call us today at (312) 780-0470 or Email Us. No. The qualifying patient must submit an application to the Illinois Department of Public Health Division of Medical Cannabis with the required forms to become a registered qualifying patient. Will other medical conditions be added to the list? Illinois residents may petition the Illinois Department of Public Health to add medical conditions to the list of debilitating medical conditions included in the Compassionate Use of Medical Cannabis Pilot Program. The Department is developing a process for considering the petitions, including establishing an advisory board and holding public hearings. At this point petitions are not being accepted. Check the Department’s website for updates. Where can I get my fingerprints done? Can a minor apply to be a patient in the program? On January 1, 2015, Public Act 98-0775 will become effective and the Illinois Department of Public Health Division of Medical Cannabis will accept applications for qualifying patients under 18 years of age who suffer from seizures, including those characteristic of epilepsy. The Department is developing rules for the issuance of registry identification cards for qualifying patients who are under 18 years of age and suffer from other debilitating medical conditions. The application for qualifying patients under 18 years of age is not available at this time. 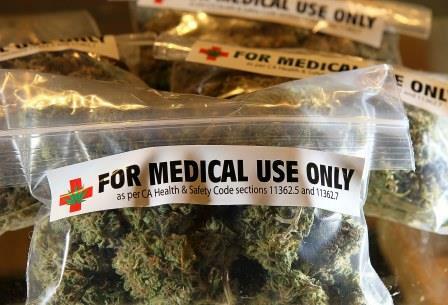 Which medical providers can certify me for medical cannabis? The medical provider must be a doctor of medicine or osteopathy licensed under the Medical Practice Act of 1987, have a controlled substances license under Article III of Illinois Controlled Substances Act, be in good standing to practice medicine in Illinois, and have a bona fide physician-patient relationship with the patient they are certifying for medical cannabis. How do I apply for the Medical Cannabis Program? Is there a way to expedite my application? No. Applications are generally processed in the order in which they are received. How long does it take to receive an answer once I submit my forms to the program? The Illinois Department of Public Health has 30 business days to review complete applications from the date the Department receives them. The Department has 15 days after an application is approved to issue a registry identification card. Once I submit how can I check the status of my application? Do not request a status update on your application until 35 days have passed from the date you submitted your full and complete application, as this slows processing time. If 35 days have passed, you may request a status update by mail (see address above). Include a written request for the update with a copy of your photo ID and contact information.